The HWBOT World Tour Las Vegas event is sponsored by partners GIGABYTE. The $100 USD booking fee will be refunded upon attendance. 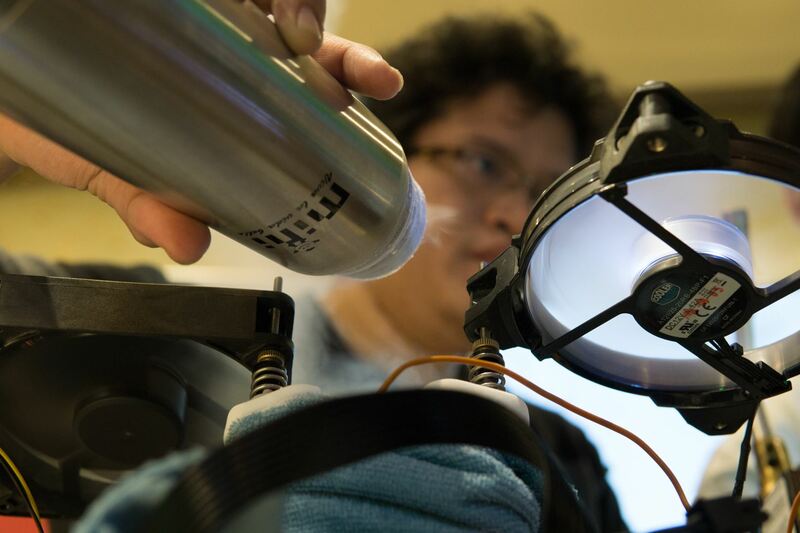 The HWBOT World Tour – Las Vegas 2017 in North America is the first in a series of overclocking events held that will be held at various locations around the world throughout the year. From an extreme overclocking perspective, the event offers a chance for Overclockers to compete in the World Championship Qualifier, a contest where the winner walks away with a ticket to the World Championship Finals at the end of the year. Here’s brief outline of the two day contest, which will be held at the GIGABYTE Suites, Caesars Palace, 3570 S, Las Vegas Blvd in Las Vegas. On the second day of the HWBOT World Tour Las Vegas event several most feared and respected Overclockers will battle it out across three benchmarks in just three hours. The top four will be invited to return for the Semi-Finals on the following day. Day three of the HWBOT World Tour Las Vegas event will see the top four overclockers compete a unique contest format that pits contestants against each other in a 1v1 format. Benchmarks will be randomly drawn from a pool of six options.